Aloha! This is a one‑person business, with no receptionist. To help schedule without delays, 24/7 online booking is available! Please be aware that I have a hearing disability (read more here), which limits my ability to understand over the phone. Texting and email are the best ways to contact me! FOR PROMOTIONS: Select INCALLS or OUTCALLS below! If possible, please text or email questions! Mahalo! ** Many cell phones do not "overdial" when using over 10 digits! This is a home-based business, in a private North Kihei condo. 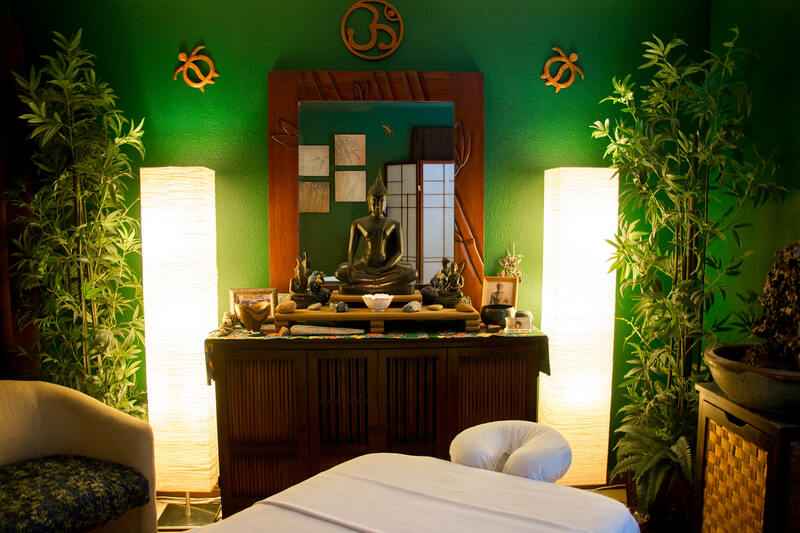 Incall services as well as insurance-paid medical massage services are provided in the therapist's residence, located a few blocks north of the mailing address (listed below) in North Kihei. For planning purposes, this is the nearest intersection to my location (Google Maps GPS Link). However, for privacy of the neighbors, and to cut down on drive-bys and foot traffic, the exact studio address and directions are only provided upon making an incall reservation. This also prevents knocking on my door for walk-in service while I'm busy working with someone. Mahalo for your understanding! Incall Studio pictured below. Click here or on the photo for more! No services at this location. Unsolicited snail-mail will be recycled.